Compare funeral directors in Warrington and read verified reviews on the UK’s online funeral resource. Use Funeral Zone Listings to find local funeral directors in Warrington that meet your specific needs. You can organise the search results by ‘best rated’, 'nearest' or ‘most reviewed’. There is also a handy Google Maps feature so you can see exactly where each funeral home is in relation to each other. 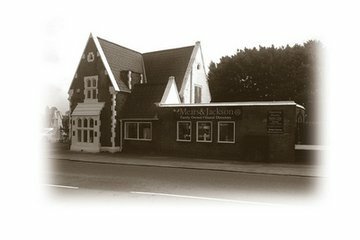 Mears & Jackson rendered simply impeccable service; my father’s funeral was agreed, by everyone who attended, to be lovely. Some people thought it was the best they’d attended. I agreed. Competitively priced, thoroughly sympathetic and considerate service. I would definitely recommend Mears & Jackson. At this very raw stage in my life losing my soulmate of 66 years, i found both Sophie and Claire very supportive, helpful and understanding. I was very impressed with the dignity and professionalism exhibited by Mears and Jackson during the worst week of my life, following the accidental death of my twenty-seven year old son. Their calmness, and solicitous attention to detail was extremely helpful at a time that I wasn't able to think properly. I am also very grateful to have been asked about the possibility of a Scottish piper playing at the crematorium. It would not have occurred to me until after the event, and I know that my son would have loved it. Special mention to Phil, whose concern and genuine empathy was very touching. Everything went exactly as was planned. Chris was so helpful and not pushy, doing exactly what was asked and always taking my wants and needs into account. I would not hesitate to recommend them to anybody else they are excellent.